Life on the virtual cloud can be a great experience for tech users. Being able to store, manage and access information and data wherever you go and whenever you need it, without actually using a hard drive offers great convenience. However, as with most technologies, the cloud is not perfect for every application. Plus, although your mom always told you to share, when it comes to cloud computing, sharing just isn’t for everyone. Because performance on the cloud is not always as predictable as one would like, companies are actively looking for ways to improve cloud infrastructure. To that end, Rackspace recently announced a new technology that allows users the opportunity to move and up and down dedicated servers the same way they would move up and down virtual machines (VMs) on the cloud. So one might ask: “Are bare-metal dedicated servers really necessary?” The problem with cloud VMs is that many tenants use them at the same time, which has a tendency to limit their capabilities. In other words, every time you are using the cloud you are also sharing the resources from the server and network connections with others. That leads to inconsistent performance, which can be frustrating. Another issue that companies face when they use the cloud is growth. Although growth is almost always a good problem to have, it can be troublesome in regards to the cloud. When a company that starts on the cloud grows what tends to happen is that it moves into a collocated date center. However, when it decides to move into this type of infrastructure it also tends to lose the flexibility of the cloud. This is the problem that Rackspace is taking dead aim at with its new bare-metal dedicated servers. So how do these dedicated servers work? This is not the first time that Rackspace has tried a bare-metal server, but the company’s new offering, OnMetal is different from past offerings. According to Rackspace, the new OnMetal dedicated server works much better than previous attempts, as well as much faster. The previous bare-metal servers were a lot like traditional hosting in that a person might have to wait for several hours or even several days before a server could be provisioned. Another way the new Rackspace OnMetal dedicated servers are different from their predecessors is the cost. While traditional dedicated hosting plans typically carry a monthly usage fee, Rackspace is renting these new servers by the minute. That’s right, Rackspace is offering this service to is customers by the minute, which means anyone can rent a dedicated powerful server, which is sitting at a Rackspace location, for 20 minutes or so, or longer. It’s simple to set up as well. With just a few clicks you can put your request in online and in no time at all you can be up an running on a powerful dedicated server that is only open to you for however long you rent it. 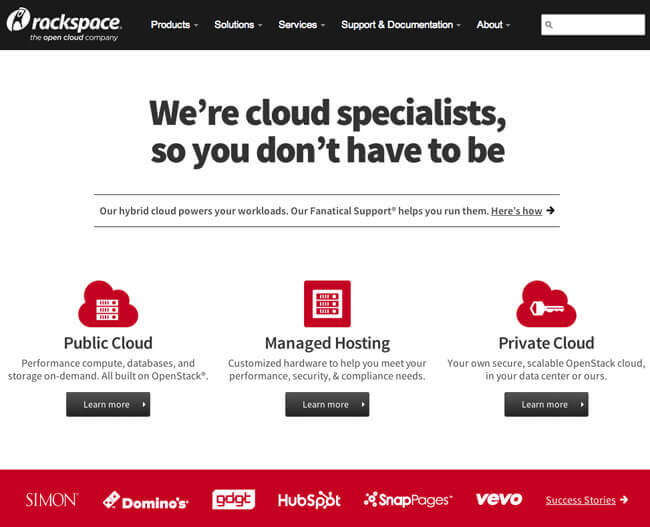 In order to accommodate this technology, Rackspace also designed its own open source servers based on the Open Compute Project model. Accordingly, the OnMetal server is a solid unit with no moving parts, vibration or heat. Cooling is also created externally because there are no fans or spinning disks. You might call these servers the elephants of dedicated servers, because their memory is fantastic. At the low end of the spectrum they come with half a terabyte, so running out of space is not a concern. Although OnMetal will not be fully introduced until late July, and it’s price is not yet known, it’s believed that running a heavy workload on it will be cheaper than running a heavy load on a cloud virtual machine. After all, that’s what OnMetal is intended for. Ultimately, OnMetal is aimed at giving users the best of both worlds, allowing them to scale like they are on the cloud but still giving them the stability and capacity of colocation. Although the entire concept of cloud computing and storage is based on the principle of sharing, Rackspace is taking a whole new approach with their bare-metal servers. The idea of sharing is great for many entities and users. On the other hand, this concept is squarely aimed enterprises that need and want to have a dedicated server system for their cloud-based operations. 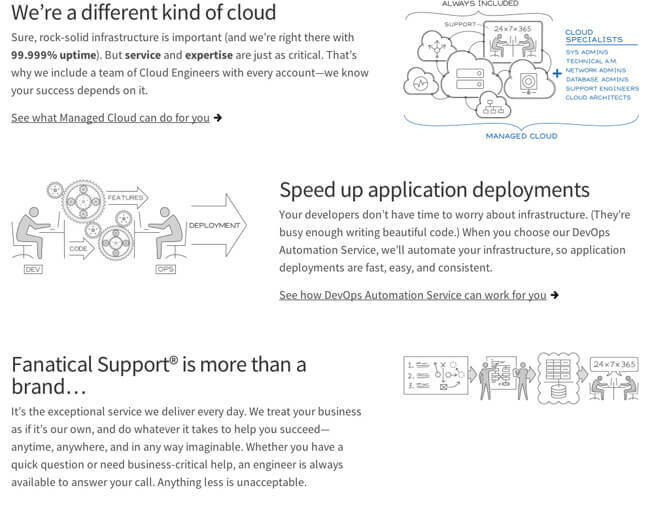 That’s why Rackspace made OnMetal with the capability to be ramped up or down as necessary. This is also possible because the service is charged by the minute. Although sharing is still a good concept, it doesn’t always work for all business enterprises in the computing world. Because sharing can make things more complex and reduce a server’s functionality, bare-metal dedicated servers are a good alternative. With OnMetal dedicated servers, managing single tenant provisions is simple and quick. Plus, it also integrates seamlessly with cloud infrastructure that is already in place. It also allows interfacing with multi-user cloud servers. The bottom line when it comes to dedicated servers is that if you need the capacity and stability of colocation, but you want still want the scalability of traditional cloud servers, then the new OnMetal dedicated servers from Rackspace are a great option. They basically perform just like a cloud virtual machine, but you don’t have to share your server space or your network connections with anyone else. Plus, you are only charged for the time you are actually using the service. For large enterprises, it sounds like the cloud just got a whole lot more inviting.